Welcome to Buy Indoor Carousel for Sale from Beston Carousels! Indoor carousel is a kind of carousel ride which can be placed inside the house or under the shed in the funfair and theme park. It is beloved by children and adults. If you placed one carousel inside your supermarket, when the parents take their children to your supermarket, children will be mad about the colorful and amusing carousel. Maybe this will make the customer stay long in your market and bring extra profits for you. 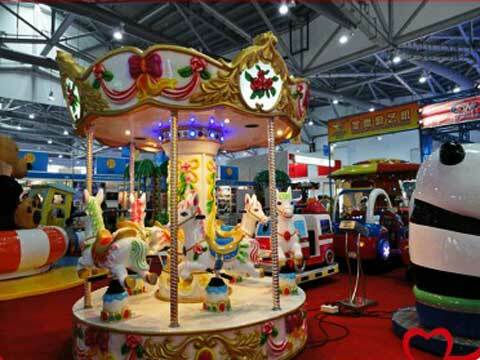 This is one of the most popular indoor carousel ride in Beston Factory which is newly produced. Grand and novel appearance is attracted among kids and adults. The weather is not always stay fine. If you placed indoor carousels inside your funfair, no matter what the weather is, you funfair keep attracting tourists. 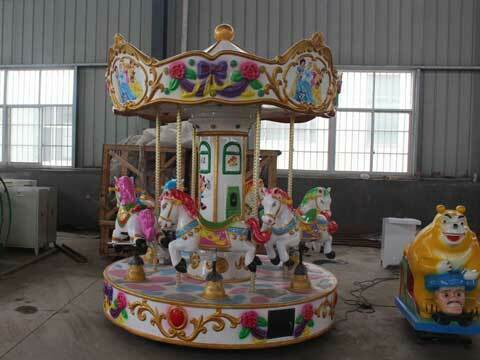 Small indoor carousel for kids for sale are hot-sale in our factory. We have 3 seat small indoor carousels and 6 seat small indoor carousels. 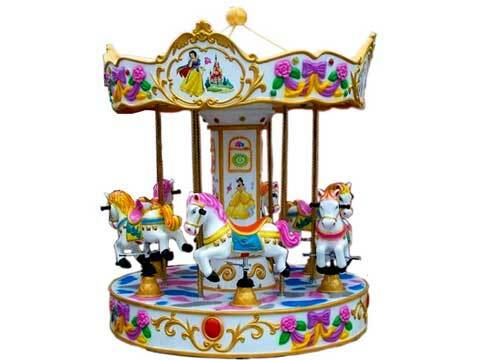 Our small indoor carousel for kids can be painted with different colors and themes. They are attractive to kids. As a leading professional amusement carousel ride manufacturer in China, Henan Beston Amusement Equipment Co.,Ltd. has involved in the amusement industry for many years. We have rich experiences in site design, area measure and features painting. Our business has spread all over the world and has won lots of praises from the clients. We take the “Clients and Quality First” as our purpose. You can also customize the indoor carousels for your business. Nothing makes a child smile quite like a ride on a carousel! Beston indoor carousel has many features like, hand-crafted fantasy horses, great music and a charming atmosphere. So you’ll feel like you’re at a carnival on the beach. Easy operation with control module. Classic indoor carousel with nostalgic design. Strict quality control with competitive price. Free install video and other free post services. Can be customized to 6 seats/12 seats/16 seats/24 seats/32 seats. 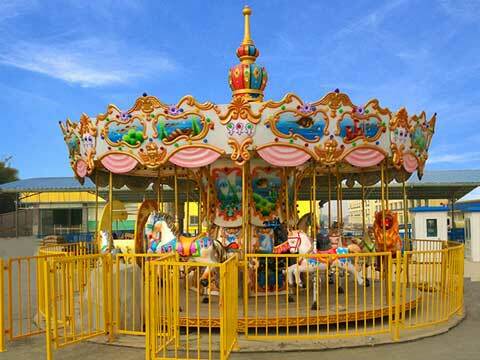 Main material is FRP which is steel and durable than other material, like wooden, metal and aluminum carousel. Page https://bestoncarousels.com/indoor-rides-for-sale/ will show you more indoor rides. Colorful LED lights and funny music make the playground carousel more attractive, and music can be chose which is based on passengers’ preferences. 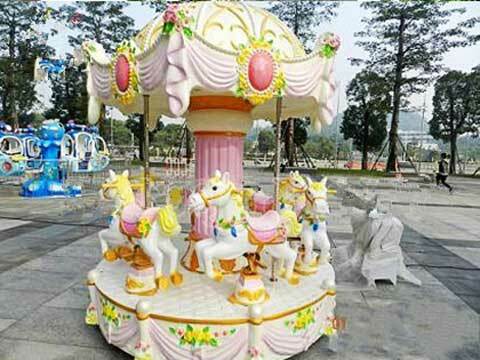 Beston here, will produce all kinds of new carousel rides which is suitable for indoor places, such as supermarket, funfair, theme park, kiddie parks. Indoor carousel rides become more and more popular, especially in the winter days. Customized your new indoor carousel rides now from our factory. Beston Amusement, a small indoor carousel for kids manufacturer who has build for more than 20 years in this amusement rides industry. Our indoor kids carousel rides has won a lots of good feedback from our customer from different countries, such as Australia, South Africa, Nigeria, Philippines, UK and etc. They are popular in the funfair and amusement park.We provide low price kids indoor carousel rides for several years. We also provide customized service, if you want to get a customized indoor carousel, you can send us your inquiry now!